This is a very dark moment in American history. On November 6th, the American people gave the keys to the U.S. House of Representatives to the Democrats, and that means that the crazies will soon be unleashed on Capitol Hill. They won’t be able to get much legislation pushed through because Republicans still control the Senate and Donald Trump is still in the White House, but they will be able to cause all sorts of chaos with their investigative powers. If you thought that things were bad the last two years, just wait, because you haven’t seen anything yet. Top Democrats are already talking about hitting Trump with a huge wave of subpoenas, and the White House is bracing for the worst. It is going to be a time of bitter partisan wrangling in Washington, and meanwhile the nation as a whole is going to continue to fall apart. 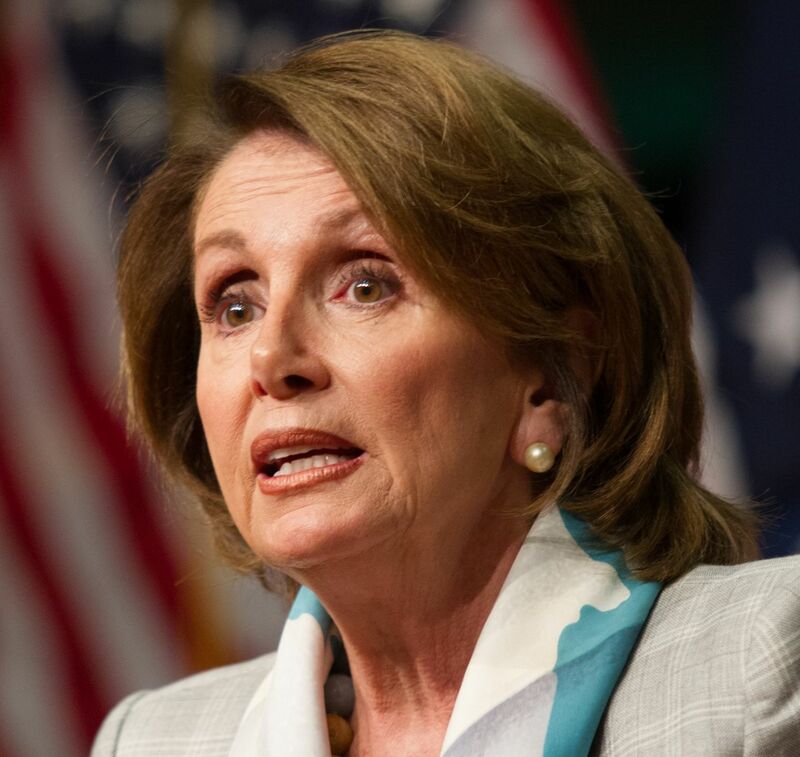 In just a couple of months, Nancy Pelosi will be speaker of the House once again. That also means that if something suddenly happened to Donald Trump and Mike Pence, she would become the president of the United States. Just the thought of that should chill you to the bone. And of course Pelosi is just the tip of the iceberg. All of the powerful House committees will now be chaired by Pelosi’s crazy allies, and they plan to use those positions to hurt President Trump as much as possible. In September alone, Rep. Elijah E. Cummings, the ranking Democrat on the House Oversight Committee, called for the panel to issue subpoenas to the Trump administration on seven different investigations, ranging from immigration to Obamacare. With Democrats now poised to take control of the House, Mr. Cummings will likely be in a position as chairman to issue those subpoenas on his own. Rep. Richard Neal of Massachusetts, the top Democrat in the Ways and Means Committee who is poised now to become chairman, has said that he intends to formally request the president’s tax returns. And let us not forget Maxine Waters. Waters, 80, could become chairwoman of the House Financial Services Committee, where she currently serves as ranking member. The committee oversees the housing, banking, insurance, and securities industries, and Waters has offered big plans if she can bag the job. Last, but certainly not least, is nutjob Adam Schiff. The next two years will be horrible for the Trump administration, horrible for our system of governance, and horrible for the nation as a whole. But we didn’t get Pelosi, Waters, Cummings, Neal and Schiff as our leaders in Washington by accident. Those that are representing us in Washington are a reflection of the nation as a whole. So when we look at Congress, we are essentially looking into a mirror. I once believed that if the American people could just see behind the curtain and understand how deeply corrupt these politicians on both sides of the aisle really are that they would make better choices. Unfortunately, I don’t believe that anymore. We have horrible leaders because that is what the American people want. This election cycle, a lot of really good men and women ran for office all over the nation, but almost all of them were defeated. Real solutions to our very serious national problems have been proposed, but that isn’t what the American people want. Instead, what the American people want are more leaders like Nancy Pelosi and the rest of her gaggle of crazies. It was very difficult for me to write this article this evening, and it is becoming increasingly difficult to see any sort of a positive future for our country. We are facing crisis after crisis as a nation, but our leaders just keep getting more and more corrupt. If our founders could see what has happened to the once great nation that they established, they would be rolling over in our graves. The United States of America is in an advanced state of decline, and we just got more evidence of that fact on Tuesday night.